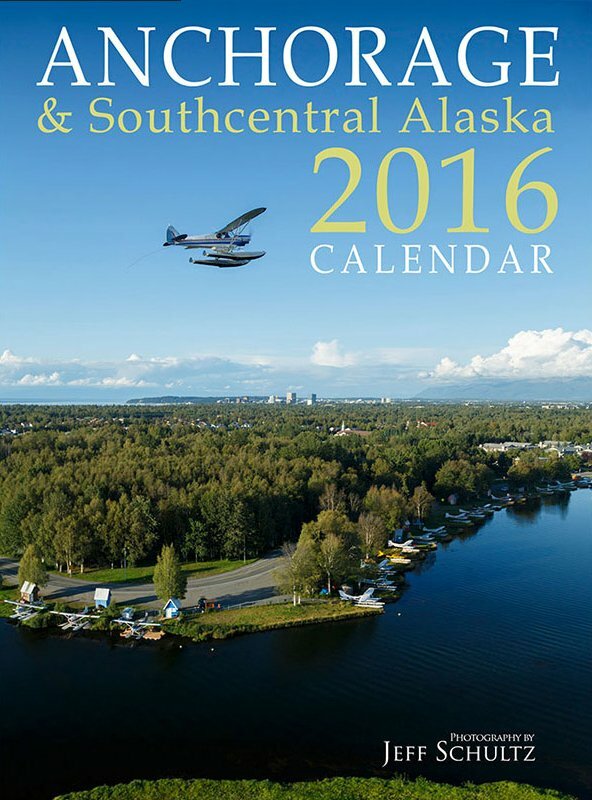 I have lived in Anchorage, Alaska since 1978 and feel it is such a wonderfully unique location with so much diversity of natural beauty, interesting activities and adventure that I wanted to begin an annual project to showcase this beauty for the world to see.To that end, I plan to produce a retail calendar each year beginning with one for 2016 with what I consider some unique photography of the Anchorage area. You can have a custom front and back cover designed and printed with your company name, logo and even your own photos or a different photo that Jeff took. 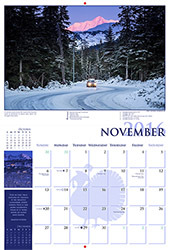 The inside of the calendar would be the same as is already produced. Give these away as gifts to your preferred vendors and/or clients. Minimum order only 250.